Every year we look for new ways to improve the experience for guest at our Cape Cod bed and breakfast. This year our guests have been raving about the new coffee we serve from the Cape Cod Coffee Roasters in Mashpee, MA. We discovered this great coffee last year before we went south for the winter. A guest graciously invited us to the grand opening of his restaurant, the Blue Plate Special in Barnstable. At the opening, Molly MacGregor, the owner of the Roasters, was doing a coffee tasting. We had the chance to try a variety of her coffees, but just a small sample of the 40+ coffee bean choices from 12+ countries that are available from them. When we returned from Florida, Molly brought us samples of a wonderful blend of Central and South American coffees to share with our guest. They loved it, and now daily we serve the fresh brewed Sunrise Blend and the decaffeinated Sunset Blend. The key to the success of the coffee is its freshness. Every Monday, Molly calls for my order and the beans are then blended, roasted, ground, and packaged for delivery on Tuesday. It can’t get much fresher than that. In the past we bought roasted beans and ground them our selves, but there was no way of telling how old the beans were, how long ago they were roasted, or how long they had been on the shelf. The freshness makes all the difference in the world. 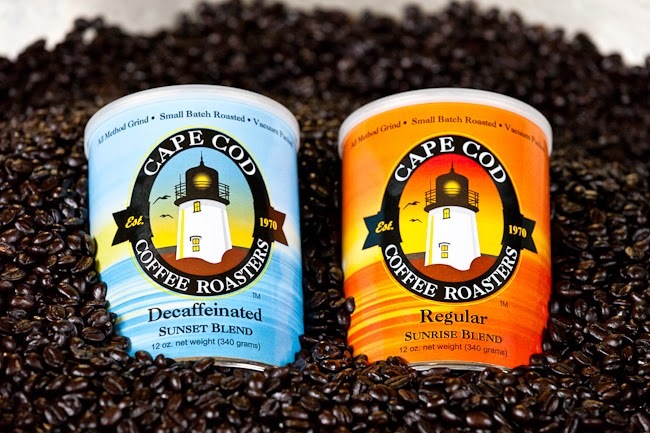 Cape Cod Coffee Roasters is a great story beyond the quality of the coffee. It was started in 1970 by Demos Young, whose family had been in the coffee roasting business on the north shore of Massachusetts since 1914. In 1987, he built the first coffee roasting facility on Cape Cod. The state-of the-art roasting facility is located at 348 Main Street just cross the town line in Mashpee. Some of our guests have stopped by there on their travels around the Cape to purchase coffee to take home with them. They offer tours of the Roastery year-round every Thursday at 11:00 AM and in the summer also on Tuesday at 11:00 AM., another fun thing to do on a rainy day. Another nice thing about buying coffee for our inn from Cape Cod Coffee Roasters is that we are supporting another local business. At our Inn, we like to buy local to obtain the freshest and highest quality products available. Come and stay with us at our Sandwich Inn and try the coffee with free refills all day long.